Hey there! Thanks for dropping by Alternate Realities! Take a look around and grab the RSS feed to stay updated. See you around! I transported posts, but I wasn’t able to transport comments, but that’s okay. We can start from scratch. Contest Update: Stuff for freeeeeee! First off, go nuts with this Story by Comment contest posted by Krista V. You just need to continue the story from the previous comment in 100 words or less. She has lots of great prizes to choose from. Contest ends May 17. You can win DECEPTION by Lee Nichols from Suzie Townsend. Swing by her blog and click to follow. Contest ends May 30. Suzie is an agent with Fineprint Literary Agency and posts valuable writerly info. You must take a look at the query stats she posted on Saturday. Swing by her blog and follow to enter. Her deadline is May 16. Miss Snark has posted info for the May Secret Agent contest. This time, she’s opening two 25-entry submission windows to accommodate those in distant time zones. Submissions will be accepted on Monday, May 17. Check the post for times and rules. The mystery agent wants full ms in children’s lit: Chapter, MG, YA. Good luck to all of you and may you have fast fingers to get your ms in. Candyland is celebrating her 100 Follower mark with TWO giveaways. Win a query or first chapter critique. Candace, you’re going to have the most fun with me (well, your pic will)! Deadline is May 20, noon ESD. The Alliterative Allomorph is hosting an Internal Conflict Blogfest tomorrow. Click here to sign up. Post your blog up to 1000 words tomorrow(12 May). I can’t wait to see the conflict flying around the web! CHOCOLATE! Okay, got your attention. Yes, you can win chocolate, a copy of WD’s Children’s Writer’s and Illustrator’s Market (enough ‘s in there? ), or a copy of Fame, Glory, and Other Things on My To Do List by Janette Rallison over at Janet Sumner Johnson’s fresh new blog. Hurry for this one! It ends midnight EDT, Wed, May 12. Speaking of Janet and her new blog, I came across her post about her decision to split. This was rather timely because I just started blogging, and I quickly noticed some frustrating limitations with my current blog service. Now that I’ve checked out Blogger, I’m sold on moving my blog. My current service doesn’t allow me to change my CSS without paying for an upgrade. Me (single-wage earner) + five children + husband going to college = no upgrade. However, I just about flipped somersaults when I learned Blogger lets you put in your own code without charging you. Plus I can now use Google Friend Connect, which WordPress won’t allow (guess it makes sense; they are competitors). Well, WP, it was nice while it lasted, but you’ve lost me. My Blogger site is currently under construction, but I’ll post when I’m ready to move. Hopefully, this will make it easier for all you peeps in the blogosphere to find and follow me. Google is awesome. Interesting post here by Eric at Pimp My Novel on Google Editions, Google’s answer to Amazon and Apple. What do you think about having over 4 million ebooks at your fingertips? I am not a social creature. Don’t get me wrong. I know a lot of people, and these people actually like me, but butterfly I am not (that’s you, Iyanna). I bring this up because first I read Elana’s post the other day. I’m still amazed at her ability to take those bleh feelings and turn them into some positive encouragement. I’d definitely been reading a lot of blogs lately addressing the hard work and dedication and love of the craft of writing involved in making it into a career. It seems most writers have gone through those questioning moments of self-doubt. Then I read this post today on Candyland’s blog. It’s true we write for ourselves first before others, and I’m glad to be reminded of it. I also read several posts on success stories, including this post announcing Frankie Diane Mallis’ signing with an agent. The combination of all these posts beset me with some strange, mixed up feelings, and it was suddenly clear to me that I am a little terrified. Yes, I worry a bit that I won’t get an agent, won’t get published, and won’t get good reviews, but I just began my journey. I have time. I was surprised, however, at my gut-wrenching reaction to the idea of getting what I want. What if I got an agent? What if I get published? What if I was successful? Then what? People will see me. There will be expectations to meet, obligations and responsibilities beyond what I’ve experienced, and that’s where my self-doubt lies. I would love to offer a tidbit of encouragement, but as I haven’t yet achieved that level of wild success, I suppose I will just have to learn about what happens next in the steps to publication. That way my fear will be battled, slain and finally put to rest by the time I eventually get there. Anyone have tips for conquering the fear of success? Any insights on why someone would be afraid in the first place? “So this is what we’ve been fighting all this time,” she sighed. “He just looks like a man. Men can be reasoned with sometimes. Not you, of course.” She tossed him a sly look. “I know. Just asking.” He let out an exaggerated sigh and finally nodded, sending a mock salute as he left the room. She turned back, looking again at the vamp’s tattoos, wondering if they had some meaning or if they were just body art. Perhaps he was different from the other vamps because they have different classes of people or like human men and women were different. Still they’d encountered the same results with autopsies of the females, all black-eyed, single-heart, etc. “Gabriel,” she whispered, trying out his name. His eyes opened at the soft sound. Emma’s feet rooted to the ground. She wanted to back away, but her body wouldn’t obey, her heart a hummingbird beating against her chest. Several moments passed before Emma finally took a deep, unsteady breath and saw he just studied her curiously with those silver eyes, no growls or snarls, no bared fangs. His gaze roamed over her, lingering over her full rosy lips, deep emerald eyes and heart-shaped face. He said nothing. I’ve updated the design of my blog, and I really think I’m liking it quite a lot. Check it out and let me know what you think. Unfortunately, I can’t get it to display properly at work, but it helps when you don’t run a fossil of a browser like IE 6!!! It’s just lovely on my Firefox portable. Well, a couple more additions to my blog: I decided I’d add a page about the books I’m working on. You must check out the page because the pic is delish(!) and very creative on the part of Mr. Lluesma, who has artistically removed the real man’s actual tattoo (a line of text) from his ribs and added the gorgeously done new ones. The amazing fact is I described Gabriel’s tattoos before I ever saw Javier’s photomanipulation that pretty much dead on matched what I envisioned. Oh, yeah. Almost forgot. I will also post little clips from the book each week. Yes, my family & friends, this is for you because it’s the only way you’ll ever read any of it, you darn non-paranormal, non-romance readers! No offense to the few who have read for me. Alas, my kids are too young to read the adult content. Anyone else have troubles getting loved ones to beta read for you??? Whew! What a crazy last couple of weeks it’s been, thus why I’ve been blogone lately. I’ve decided early this morning that the mood of the day shall be “optimistic.” Why? Because I need a little of it to keep my sanity! And truly, if I don’t make myself look at the bright side every once in a while, I’ll spiral down into a deep pit in which I only write horror where the good guys all die at the end and the demons inherit the earth. First on my optimism agenda, I had to address my job. It’s only natural considering I live where I work. I have to admit it can be pretty awesome. Just check out the pic. 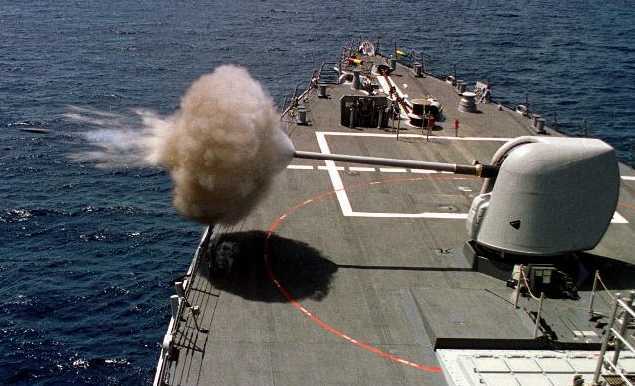 We shot over 220 rounds from our 5” gun the week we went out to sea. Makes me proud–*tear* love you Combat Systems/Weps! You’ll have to check out my Facebook photos for last year’s missile shoot, and any true patriot will have even the hairs at the nape of their neck saluting at that sight. Sometimes I’m so busy complaining, I forget to remember I could never have lasted thirteen years of this without being strongly patriotic. ‘Nuff said here. Next, my home-purchasing endeavors are beginning to pay off. Didn’t get the house we first offered on, but the second was a winner. I am more than happy to run with it as I realized last week that it had been my #1 pick from the listings my husband sent me. Now, if only I could actually see the home before I buy it… Nope, not likely. But I did see lots of great pics–5brm/3ba with a tree swing, playhouse, garden area, fire pit. Yep, definitely something to be optimistic about. Lately I’ve been reading a lot of blog posts about perseverance and optimism when it comes to writing, and I’m really glad I’ve come across these posts because trying to become a published author is a somewhat discouraging business by nature. 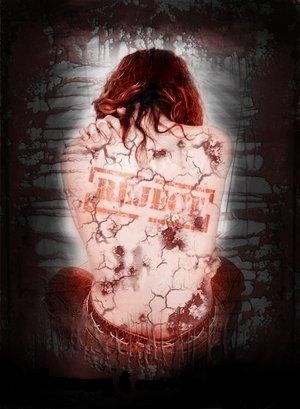 The authors write from a personal place and therefore take rejection personally at times. I really needed to see how much work is involved in crafting and marketing a worthy piece of literature. And after much research, I’ve also concluded that agents, editors and publishers are not truly evil, but are actually on our side. They are the buffer between the writers and the cold, hard truth of economics and technology. They do the best they can with the resources they have. And in return, we’ll spill our blood and guts to write as close to perfection as a writer can call it (since we all know we’re never done with our work). Maybe, just maybe, if I learn all this at the front end, it won’t take me three years to get an agent, and that, my friends, is optimism! So I’ve shared what I’m optimistic about. Now, where has the optimism bug bitten you? Vile, slimy, foul, despicable, nasty little bugs! And I’m currently in good health, so I’m not referring to the kind you sneeze out or cough up. It’s those pervasive, invasive computer bugs, the Trojans, worms, keyloggers, malware or whatever euphemism you can come up with for what they really are: pure evil. Two days of my life have wasted away as I cried over my keyboard (friends would say ‘cussed’ over my keyboard) while vigorously scrubbing my laptop. I’ve mostly got my baby clean, but there’s still this one crazy Trojan that keeps reinstalling itself. Well, the Navy sent me through Information Systems Maintenance school for a reason, but to be honest, that was eight years ago, and I barely remember Unix and A+ from it, much less anything else. I’ll solve this the way I solve all of my other problems: Google. Anna Staniszewski, YA author represented by Ammi-Joan Paquette at the Erin Murphy Literary Agency, is having a 100 followers contest, offering two soon-to-be-released books. Click quick. The deadline is April 22. Sarah Wylie just published her book, All These Lives, and she’s giving away some amazing prizes for aspiring authors: lunch with agent-extraordinaires Janet Reid and Suzie Townsend, a query critique, a partial manuscript critique, or a writer’s survival package. Click here to beat the April 25 deadline. Linda Sandifer is giving away an autographed copy of her latest novel, The Last Rodeo, and a box of chocolates in honor of Mother’s Day. You’ll need a hankie when you read about her impressions of her mother. She’ll pick a winner who clicked here by May 2. Stephanie Boman just signed with Alyssa Reubin of Paradigm Talent Agency and wants to celebrate by giving away a creepy pendant made by an Etsy artist (Ebay for handcrafting artists, if this is new to you). Just comment here about something that creeps you out. And one of my personal favs, a revolving contest, is Miss Snark’s First Victim Secret Agent Contest. This is a monthly contest, but you need to be quick on the draw to get your submission in. Entries are judged by a panel which includes a mystery agent. Whew! Lots more out there, but I need to sleep eventually. Uber-giant thank you to Bethany Wiggins for awarding me a Blogger BFF Award. I’m psyched about it because I love her blog. The Shooting Stars blog and Elana Johnson’s blog were the first blogs I ever followed, and I still always go there first. Geez, I got a lil link-happy tonight. Before I go, I’m a bit curious about how people choose their prizes. What’s the weirdest prize you’ve ever seen offered or that you’ve ever offered in a contest? Do you know those little moments, little details in your life that inspire an epiphany of some sort? I’m sure we’ve all had one, whether it’s just a last straw or some tiny action that gives you that “Aha” feeling. One of those most significant moments happened to me right before I deployed last summer. My then 6-year-old daughter, Jordyn, mailed me a little guy named Flat Stanley. 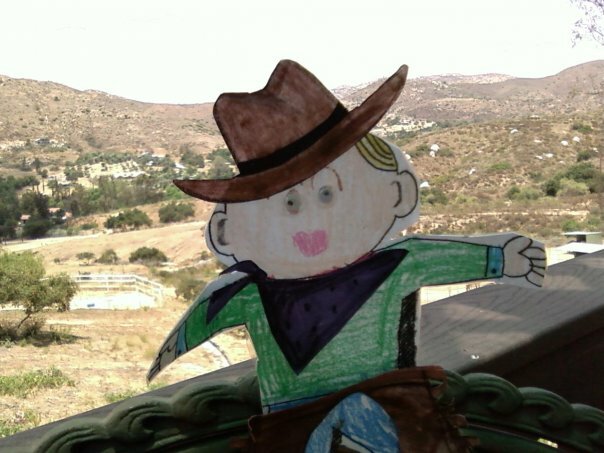 He was a colorful, laminated paper cutout based on the popular children’s book FLAT STANLEY by Jeff Brown. I was supposed to take Flat Stanley around with me, snapping pictures of his travels, and send him back with a brief story describing his adventures. We, meaning I and a lot of my shipmates, had so much fun with Stanley. We made little paper outfits for him to wear and took him with us everywhere. It was so much fun, my coworkers asked if he could go on deployment with us. I passed the question on to my daughter, who immediately got upset, her small voice wavering over the phone. I asked her what was wrong. “I don’t want Flat Stanley to join the Navy and then I’ll never see him again,” she responded. That was the moment I went from standing on the cusp of ‘Stay’ or ‘Go’ regarding my military career. Thank you, Stanley, for coming into my life! Though I’ve had plenty of smaller moments, this was my most epic. What little things in your lives have led to sudden insight or inspiration? What Aha moments have you had? …and I’m not talking Easter Peeps! Where do you go to find a crew that will have your back? I was struggling with this question for several days and tried a couple of options. In particular, I needed to find writing buddies. I joined some online discussion groups. This didn’t seem like such a bad idea at first, and some blogs recommended finding critique groups this way. Uh-uh. This isn’t for me I figured out quickly. A critique does no good if it’s coming from writers who aren’t on your level or readers who don’t give specific enough feedback. Blogs will give you some really fantastic advice, but they won’t read your writing, slap you when it’s bad, encourage you when it’s good, motivate you when you slump, and guide you when you’re lost. When I finally found a group, it was where I should’ve looked first. I’ve been using a site for the last two years with phenomenal success, a social networking site that specializes in face-to-face contact. I finally searched for writers on Meetup and found a group that sounded right for me. Jackpot! My first meeting was more than I could have hoped for. The group reviewed each other’s work, offered specific and constructive feedback, offered encouragement, and had no problem covering any genre, including poetry and screenwriting. I got nothing but warm fuzzies about all the group members. Yes, I’m pretty sure I found me some peeps. I’m excited now to submit some of my own work to see what I can do to improve. I wish everyone luck with finding their own peeps. Maybe you’ll have a better experience with online groups, but the face time suits me well. What have you done to find your own support and encouragement? PS, we met at All American Grill in San Diego, and I had the Salinas salad – Yum! Highly recommended. Ah, the sting of rejection riding on the coattails of hope! So far, my first query resulted in a form rejection, second query resulted in request for partial followed by a form rejection, and queries three through five are still out to sea with the agents. Well, that’s okay. I’m bracing myself, doing my research, and settling in for the long haul. I could get dejected, but I’m not. I have a job, a family, a life, and a love of writing. So I’ll keep writing. I started in the first place because my friends wanted the story and now I’ll continue because they want more and so do I. I love that feeling of a story unfolding where there wasn’t one before. I can do this just for fun, for the love of it. In the meantime, I’m working on the next project, while still working on ways to make the first one better. Along these lines, I’m having difficulty getting useful feedback on my manuscript. My friends are great, and they help me gauge whether I’ve got a great story, but they’re not writers. My husband’s a writer, but doesn’t read or write in my genre, although he’s encouraged me and helped me considerably with it. I considered joining associations or attending conferences and workshops, but I don’t really have the resources to invest. Any writers out there have any suggestions? Where have you turned to get input on your manuscript?